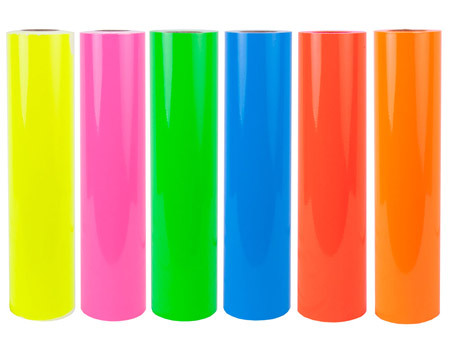 FDC series 3501 Promotional Fluorescent Vinyl Film – This product features a unique colorant system for superior visual appeal and exceptional opacity, providing dynamic graphics accents. The fluorescent pigments fade in direct sunlight and are suggested for short-term or inside signage. To order punched material, use part number 3551.